GK CherryDesign - excellent template for creating websites photo studios from the design studio GavickPro. 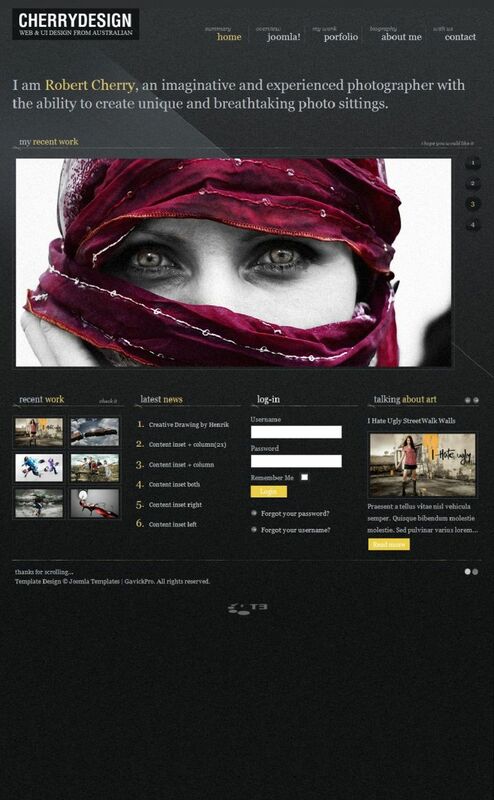 This template allows you to organize a real gallery of photographs, creating for her excellent web resource. Proprietary platform Gavern Framework provides full support for a variety of mobile and tablet devices. The use of modern web technologies, HTML5 markup and functions CSS3, give the template a modern look and a special functionality. Developers integrated a popular studio expansion News Show Pro GK4 and powerful content management manager K2.